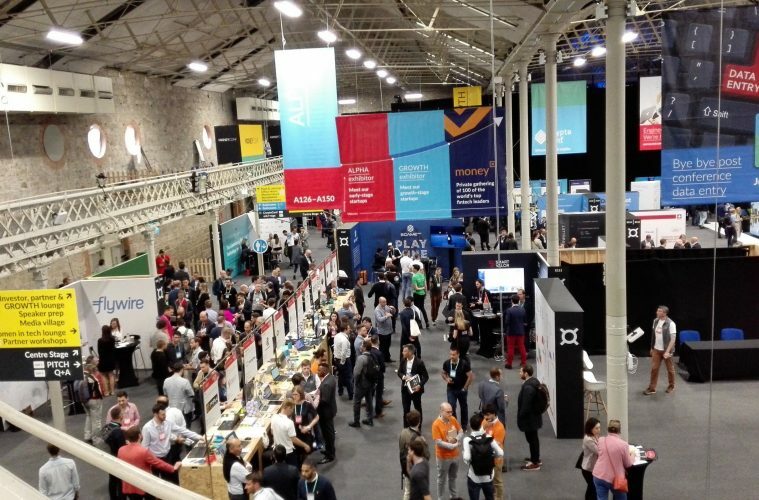 MoneyConf 2018: Point of Entry or Hype Artist's Bazaar? You meet a pair of strangers at a party. Hearing you work in something connected to blockchain, they immediately adopt opposing expressions, clearly showing one friend is a committed sceptic, the other somewhat receptive. They ask questions and you attempt to give balanced answers. Driving the line of questioning straight to personal investment is a bad way to explain this emerging technological layer, yet the fact is plain that for many people the sudden gain in value of Bitcoin last year was when they sat up and paid attention. They might have known that experiments in digital money and ‘decentralized ledgers’ were going on, but they had never thought to ask about the two-pronged attack on the financial and networking status quo from crypto and blockchain. People around the world (including regulators, authorities, journalists and others) reacted as people tend to at moments of crisis–find the nearest person who appears to know about the situation, and ask them about it. This attitude is actually respectable. For all the likelihood of a sudden rise in price resulting in a sudden loss, a speculative frenzy is real enough in of itself; it can cut a swathe through people’s lives. If you believe in the underlying value of the new industry that you and others are helping to kickstart, you plough on with the conversation sketched out above. If you’re a bit like me, you try to mix in a potted history of how the ideas developed, the exciting place they are in right now, keeping track of the notable failures–hacks, arguments over forked chains, conservative stances of banks and regulators, etc. For all your attempts to walk a line of cautious enthusiasm, you can soon see in the eyes of the sceptic that you’ve become someone “trying to sell Bitcoin [or some other imaginary money]” to a gullible friend. You have become a hype merchant. 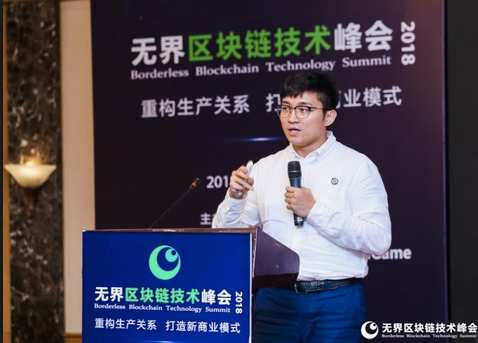 In a speech delivered at a recent blockchain conference held in Chengdu, China, the CTO of the platform I work for, the Genaro Network’s Waylon Wu, wisely called for less hype and a more “grounded” approach to developing platforms and promoting blockchain technology. With Genaro’s commitment to community development growing deeper, team members have in recent months ramped up their appearances at conferences and meetups globally. I completed last week a fortnight-long trip that took in Helsinki, London and Dublin. The purpose of the outreach is not to generate hype around Genaro but to accumulate valuable connections among the growing number of people cultivating a serious long-term interest in blockchain, and to state in simple (or sometimes more complex) terms what it is that Genaro is building. 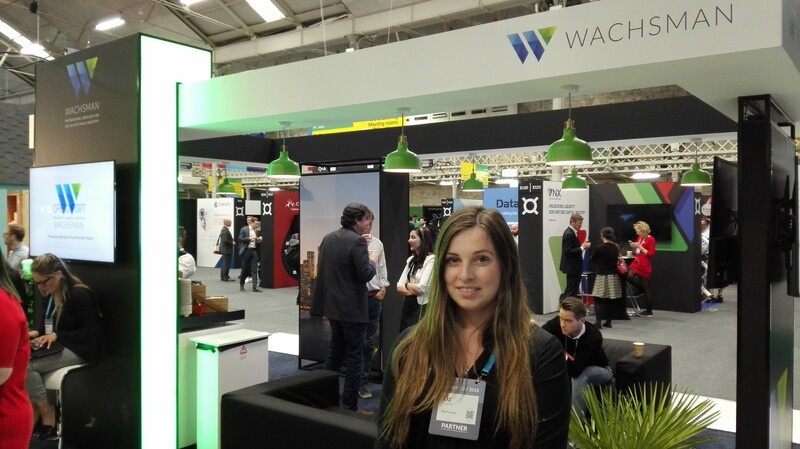 In Dublin I was able to experience the MoneyConf, a financial technology conference that is the latest creation of a technology-focused events company launched in Ireland by entrepreneur Paddy Cosgrave in 2009–Web Summit. After becoming a cause celebre in its birthplace, the eponymous Web Summit (WS) conference moved to Portugal, where larger facilities allowed the hosting of greater numbers of people–60,000 for last year’s event, while other events in Toronto, Hong Kong and Bangalore and Dublin (Collision, Rise, Surge and MoneyConf respectively) take in thousands more. The backstory of WS is one of fast growth and global ambition–rare for any startup, rarer still for a country whose tech sector is respectable but compact, and too often reliant on the heft of foreign giants. This success involves an unavoidable element of hype, for the hosts and organizers and for the speakers and brand spokespeople jostling for attention among the rows of stalls. The story of WS is interwoven with the aspirations of thousands of entrepreneurs and startup founders who must factor in the ebb and flow of the zeitgeist–as emerging actors in any marketplace would. Many of them will not see their projects gain traction at all. Other technologies being hyped laterally across intersecting industries include AI and IOT. MoneyConf saw presentations from a number of companies using Machine Learning algorithms and AI to analyze such things as personal credit data to determine suitability for loans (Credit Karma, from the U.S.) or enabling consumers to compare insurance policies (India’s Policy Bazaar). It is not uncommon now in the blockchain/tech space to see projects with some combination of AI or IOT (or other technologies flagged as hot) together with a cryptocurrency funding model that seems applied as an afterthought. In the conferences, I experienced different degrees of hype, some of it seeming justified. I interviewed the Chief of Staff of Consensys, the Ethereum blockchain’s highest-profile project, with whom I briefly played the sceptic, asking if Ethereum’s technology was really the proven, disruptive structure that he and his fellow founders claim. With “$10 billion dollars worth of transactions a day” clearing on Ethereum and many billions of automated and manual queries also handled daily on the chain, for Jeremy Millar there was little reason to entertain any doubt. At the RDS later that week I spoke with independent blockchain and DLT consultant Barry O’Connor about the development of the space in Ireland. O’Connor stated that he saw parallels between an earlier era of hype at the time of the late 90s global web bubble that had been replicated in Ireland, with “irresponsible actors” entering the market at a moment of intense speculation, only to do it harm before it could be properly established. Nevertheless, he saw this situation changing with signs of responsible regulation and viable applications for blockchain in industries like supply chain management. What he termed Genaro’s “quasi-infrastructure” platform also appeared as a plausible “next step” for blockchain, with the long-term goal of bringing east and west closer through such a network being laudable as well. Overall, moving through the intense and well-run MoneyConf (looking, often in vain, for projects not connected in some way to blockchain) I noticed a virtuous pattern in how the WS machine is run. That pattern was one of the small but significant improvements supporting a grand overall vision, relying on cooperation and cohesion among well-qualified staff as well as volunteers. An interesting theme among the staff was the presence of talented Irish people who had cut their teeth in other countries and industries before “returning” to the locally-founded company–Dannielle Taaffe, a recent hire, had moved through the BBC, Sky News, CCTV in Beijing and then NGOs like Greenpeace and Oxfam back in Europe before joining WS as Director of Communications. She and other principals shared a zeal for asking for any morsel of feedback that could help them enhance the experience in future. Something that can organically improve, scale and gain respect and trust from customers will sell itself. As blockchain spreads in influence and multiplies its use cases (as well as setbacks), this magic yet obvious combination is one worth remembering.